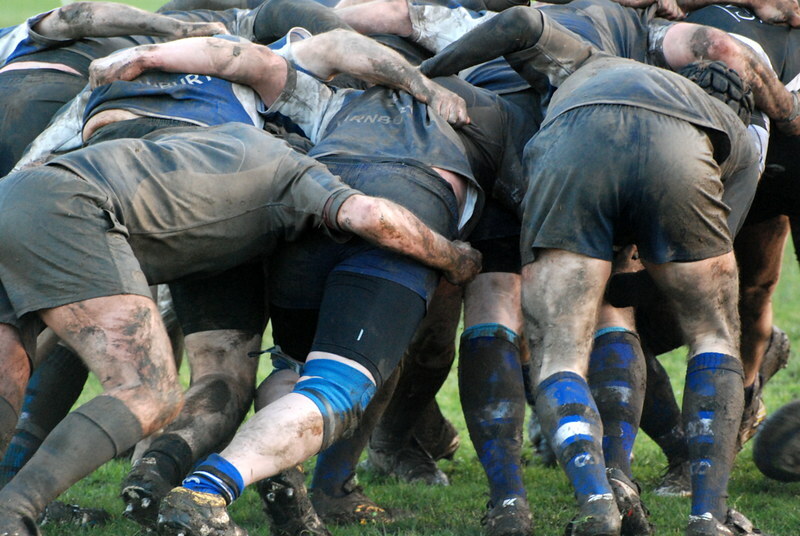 Unfortunately Old Otliensians 1st XV league match against Sheffield Oaks at Sheffield was postponed due to a waterlogged pitch and has been rescheduled for the 22nd February 2014. However a combined team consisting of players from Otley Viscounts and 'Ensians 2nd XV played in the colours of Otley Viscounts against Yarnbury 4th XV at Otley. On a dour sort of day on a wet Otley pitch Yarnbury started brightly taking play into the Otley half where play remained for 80% of the half. Despite Yarnbury turning over the ball on numerous occasions the Otley defence stood firm with Olly Cooper outstanding and the only score was a Yarnbury penalty goal to make the half time score 3 points to nil. The pitch was now a mud bath after the recent heavy rain and play was transferred to the nearby 'Ensians pitch for the second half. The game was transformed in Otley's favour. The improvement was considerable, Otley were putting in good phases of play attacking into the Yarnbury half. This resulted in four tries for Otley scored by Joe Hatton, Connor Bateman, Matthew Dunn and John Ratahi two of which were converted by Matt Tenniswood. Yarnbury's only score was a penalty goal to make a final score of 24 points to 6 in favour of Otley.